Some of the best whiskies I was fortunate enough to taste in 2014 were from Japan, and I would agree that the Yamazaki Sherry Cask is a stunning whisky from one of the world’s greatest malt whisky-producing countries, but the Daily Mail’s (expected) sensational headline and Mr. Murray’s statements strike me as remarkably unfounded. That Scotch whisky has something to be “humiliated” about, that a perceived lack of innovation has hindered Scotch producers is near nonsense. Scotch whisky is celebrated and esteemed as much for its diversity of flavour as for its adherence to traditional craftsmanship over its lengthy history but recent years have seen these traditions used in new ways, with innovation from barley to barrel to bottle across the industry, albeit within parameters. Interestingly, many of these innovations have been in turn praised and criticised by Mr. Murray over the past two decades, from 1994s praise of finishing to his 2008 critique of the practice. Japanese whisky was founded on the traditions of Scotch whisky making over 90 years ago, and it could possibly be argued that Japan adheres even more to the traditional methods (wooden washbacks, direct firing stills, etc) than the average malt distillery in Scotland so I do question Murray’s implied praise of generalised Japanese “innovation” over just making really good whisky that he liked. After all, publishing a bible DOES NOT make him God; his awards are no more than reflections of one drinker's opinion. Since the mid-1980s, when the world saw its first Single Malt from Japan, Japanese whiskies have attracted acclaim. Since 2008, Japanese blends and malts have won major titles, most notably from the World Whisky Awards. This is not to say that Scotch has stopped winning these awards or top acclaim from writers, including Murray. Although Scotch has, until now, won his highest accolade in all but one edition of his bible, Murray has awarded more American whiskies in recent years than Japanese. It is no news that America and Japan make excellent whiskies. Not a great headline, though, and tough to sell newspapers or magazines with a headline like that, "Whiskies Being Made to High Standard Outside Scotland"
The assumption from Murray’s statements is that Japanese whisky has an edge on Scotch because of a stronger vision or wilder innovation; innovations like the highball campaign? No Age Statements? Local barley or local oak? There are precedents in Scotch in every case. 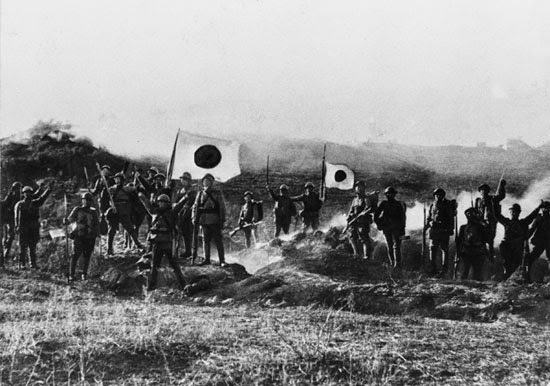 So in what way is Japanese whisky’s success due to innovations that Scotch lacks? Zero. It is due to releasing top quality malt whiskies. To infer that this precludes the ongoing (and much longer-running) success of Scotch whisky is balderdash, but a great reminder that Jim Murray’s latest book is about to be released! Finally, in case it has not been mentioned, Jim has a new book coming out next week. Much that was around in 1969 still feels contemporary today: the music can be heard everywhere, everyday; the fashion has come, gone and come again; the ideals, ever resilient, continue to be subjected to relentless pressures but have never been defeated in over four decades. The whisky world, however, was a very different place. David Daiches was born in Sunderland but grew up in Edinburgh where his family moved when he was young. He studied at the University of Edinburgh and then Oxford. He published his first work examing “place and meaning” in poetry before WWII broke out at which point he began producing pamphlets and writing speeches for the British Embassy in Washington, DC. He continued to publish prolifically and taught at ten universities in the UK, US and Canada (shout out to McMaster! ), founded the English department at the University of Sussex, and chaired the judges of the Booker prize. Apparently, he somehow found time to fish. His 29th published book, and first on the topic, Scotch Whisky: Its Past and Present does not read like a technical study of the whisky industry nor a critique or evaluation of its histories, errors and victories. 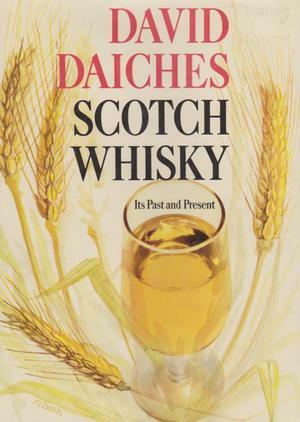 He even introduces it with the disclaimer, “This book does not claim to be a complete and authoritative account of all aspects of Scotch whisky.” And while Daiches’ can be observed wearing his academic hat as objective researcher throughout, ­Scotch Whisky is a love-letter to whisky: facts delivered without judgement or cynicism, undue favour or anti-industrial bias that thoroughly soaks and weighs down so many contemporary works on the subject. This illuminates a final major difference between 1969 and today. Today writing has been democratised in such a way that one needn’t be a white (Jewish) male from the academy to publish 160 pages on whisky. Travel journalists can do it. Bartenders can do it. Bloggers can do it. You can do it. I can do it. But what would we make? And would it come close to capturing the sheer magnitude of its subject with any lasting value? Daiches’ work remains profoundly relevant. It is still an insightful and invaluable resource in the documented social and cultural histories of Scotch whisky. And if 2,796 Whiskies to Try Before You Die is in it’s 11th impression in 40 years then I will happily stick my slipper in my slurper. Crown Royal, Canadian Club, two of Canada's proudest exports (and two of ginger ale's best friends), are in the news on the back of an advertisement that is "misleading", "confusing", and "decieving" while "tarnishing" their good names. Texas Crown Club (couldn't squeeze a Royal in there?) from Houston-based drinks company Mexcor Inc. is accused of unlicensed use of Crown Royal's image to attack it in an advertising campaign. What concerns me, however, is the fear of what lurks beneath the surface: a resurgence of American anti-Canadianism. In Canada, it is a sad phenomenon that visible minorities still suffer from racism and discrimination from the playground to the burial ground. In fact, the very term "visible minority" was found by the UN Committee on the Elimination of Racial Discrimination to be offensive and racist. Worse still, however, is that outside of Canada in North America (ie. anywhere on the same landmass but further south), Canadians are marginalised as an audible minority. Finally, this unspoken subject might now come to light with Canadian identity itself now suffering in the bars and liquor shops of America following the old journalism idiom: if it's booze, it's news. I know. I, too, suffered anti-Canadian slurs and slander in my two years as a legal alien living in the USA. The current controversy stems from an advertisement which features a barmaid in an Old West saloon ordering a round of Mexcor's Texas Crown Club whisky for a group of grizzled cowboys. When a "strange cowboy" ambles into the bar brandishing an unmarked bottle in a purple, drawstring pouch, the barmaid jeers, "We don't drink that poison in this neck of the woods," Diageo, owners of Crown Royal, reports. 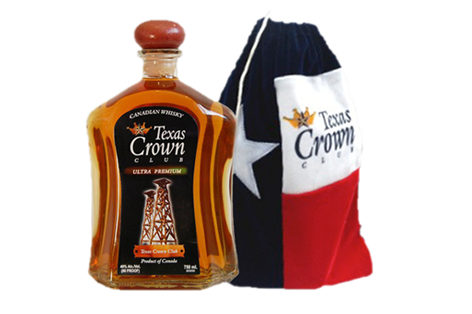 Tossed out of the saloon, this Alberta cowboy being unwelcome as implied by the barmaid, the camera pans to a bottle of Texas Crown Club and shows a second bottle, in a pouch that resembles the Texas state flag, slammed down on the bar next to the first bottle. Red, white, and blue. 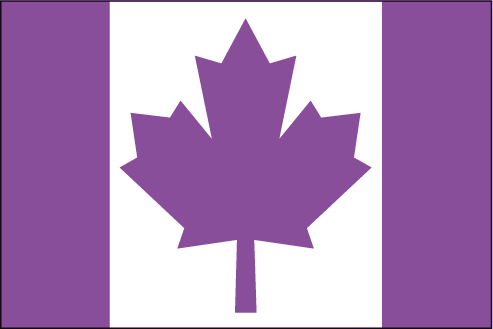 Not purple like that silly Canadian flag. 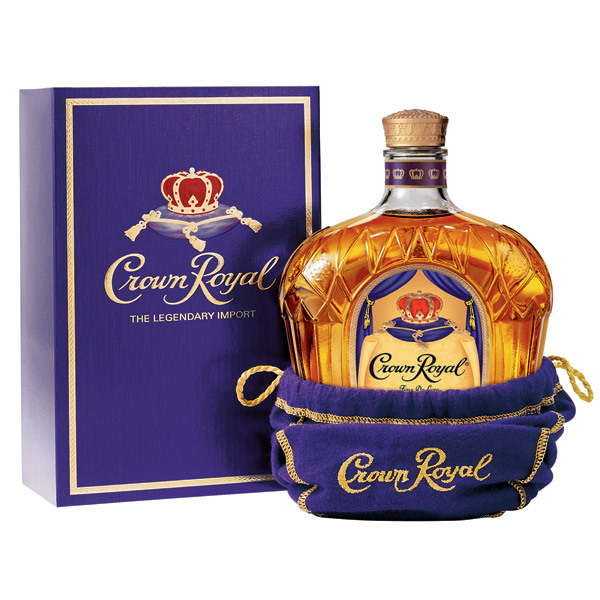 "[I]n light of the fact that defendant is selling and advertising a directly competitive Canadian whiskey, it is obvious that defendant intended to literally communicate to consumers that the cowboy is carrying Crown Royal whiskey, and that Crown Royal whiskey is the "poison" that the defendant denigrates and tarnishes in its commercial," the complaint said. While the Texas spirit makes no claims about its origin, it is implied to be "local", ie from Texas, it is clear that this outsider elixir, this "poison" is drippings from the north. In it's Texas guise enjoyed "round here", the Canadian Crown Royal whisky and the cowboy it rode in on is washed of its cultural identity. This message, the one that many of my countrymen face daily living under American rule, is "assimilate or get out"... or in the lyrics of Neil Peart, sung in a register achieved only from an upbringing in -30C winters, "conform or be cast out"
While rumours continue to swirl around the potential source of the leather that decorates their website background (human? Canadian? Canadian human? 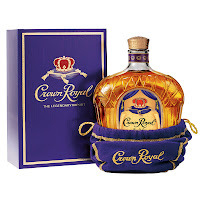 ), the fact remains that Diageo says it never agreed to let Mexcor mimic Crown Royal's look for the commercial, which it says dilutes the value of its trademarks, and wants the court to bring a stop to it. But there is much more that must be stopped here. Civil and human rights organisations agree that "discrimination permeates all aspects of life in the United States, and extends to all communities of color." Discrimination against African Americans, Latin Americans, and Muslims is widely acknowledged. Members of every major American ethnic and religious minority have perceived discrimination in their dealings with other minority racial and religious groups. Canadians, stay strong: your plight has finally come to light. The achievement of liberation begins with achievement! You really can't make a quality stew without a little Worcestershire sauce. A Bloody Mary or Caesar is just a boozy tomato drink without it. A dash in a Bolognese can work wonders. In fact, it has been said that a few drops behind the ears will drive the ladies wild. But I just noticed my Lea & Perrins says "expert blenders since 1837". This piqued my curiosity and I learned that time and maturation was as vital to this tasty condiment as to great whisky. I also learned that it's not for vegetarians. Forgive the pronunciation, but worth a watch. While I was in Sweden aboard the Viking Line Cinderella for their annual Whisky Fair, winners of the 3rd annual Canadian Whisky Awards were announced at The Victoria Whisky Festival on Thursday, January 17th, 2013. God, has it been quiet around here. Sure, we have had over a million unique visitors to date, still see 400 visitors a day on this long (13 months!) 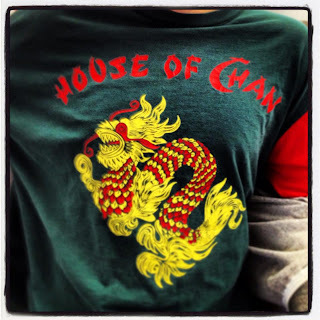 dormant blog, and Dr. Whisky keeps busy with whisky and more, but worthy of praise? I thank Karen and Matt for including me on their list of top blogs, and after all, even a dormant web log is, by definition a web log, but seriously? Seriously? I thank all of you for continuing to visit and share, for following me on twitter (@dr_whisky), on facebook, and for checking out my new outlet on The Balvenie.com. So business as usual, just not in these pages. Go get informed via the links to the left. See you all in the real world soon. 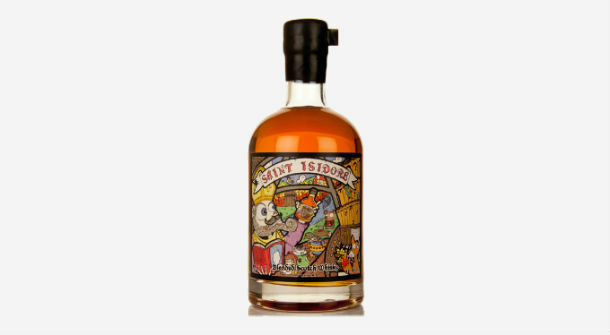 Master of Malt, clever 21st century spirits merchants and genuinely lovely people, came up with the idea to get a group of bloggers to take part in creating a blended whisky. Simple as that, really. And thus the work-in-progress formerly known as THE BLOGGERS BLEND was born. Complex, deep and fruity with wood, wood smoke, and all the promise of the industrial revolution. Wow. Thick. Hearty. Real vanilla, spice and fruit again all swoddled in a blanket of fragrant wood smoke, finishing with a toasty, buttery and popcorn-y character and a resurgence of fruit, now more dried or even burnt. Lovely. Chewy and hearty with an Islay heart, not unlike a bowl of coal soup. While admittedly not the most elegant drop on the block, this beauty matches the complexity of some of the world's favourite malts, most premium blends, and reminds of the old-school blending stylings of mid-20th century Johnnie Walker Black and White Horse all for a fraction of the cost. What's more is that in the spirit of Christmas, all proceeds go to cover MoM's admirable investment in such a brilliant project. Think you could have done better? Now you can try to prove it. Master of Malt have assembled a Home Blending Kit fit for exactly what it says on the tin. It is a blended malt and is chill-filtered at -8 degrees Celsius, a proposition that seems familiar to the brilliant commercial failure of J&B -6. The label explains that this whisky was specially designed to celebrate Famous Grouse's 25 years as Scotland's number 1 blended whisky. I took a sample off a bar in an office in Taipei and I am afraid neither the internet nor my shelves of books offer me much else by way of background. Sorry! Do you know this whisky? 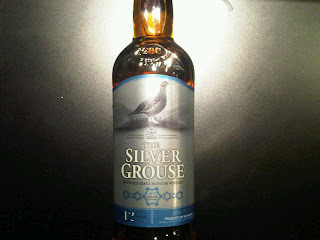 For more info on the Famous Grouse family of blends and to see all tasted so far on the mission, click HERE. Wildly pleasant and easy-going nose. Creamy and sweet with dates and honey. Slight salty or briney note in there, too. More dates, raisins and an oaty gristiness, drying with dusty oak and pleasant sherry. Classic Grouse style, easy to drink and a joy all the while. Now who knows where the hell this thing is available? Another blend to start off the 400s on the malt mission. Originally introduced as the iconic Johnnie Walker range's premium export brand, Johnnie Walker 'Swing' or 'Celebrity' was introduced way back in 1932 and was Alexander Walker II's last blend. Although this whisky was apparently made available in the UK from 1982, it isn't a whisky we see much of on these shores. In fact, the world renowned Red Label is at least as absent from the home market having left the UK in 1977 following DCLs need to comply with EEC competition rules. I look forward to an email from Dr. Morgan correcting at least half of the above. Thank you in advance. For all Johnnie Walker had on the mission, click HERE. Coal smoke and candied lemon, green herbal (Glenlossie?) and tangerine (Glen Elgin?) notes with a hint of sulphury sherry adding a welcome weight. Great texture, big and bold with vegetable sweetness from quality aged grain, vanilla and orange before turning drying with clay, treacly for balance, and arriving at a lasting smoky finish. Jim Murray called it "a different breed to the other Walker blends" in Classic Blended Scotch (1999) but to my mouth twelve years later, this is a very JW house style blend, with a bit of swagger and umph at its heart. 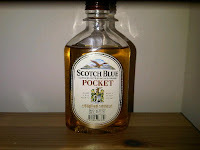 Scotch Blue calls itself "the #1 selling blended Scotch whisky in Korea" (it isn't) and was launched in 1997 by drinks giant Lotte Chilsung. It has 17 and 21yo versions very much targeting the more premium Ballantines expressions and local market leader, Windsor 17. Scotch whisky was the biggest South Korean import from the UK in 2010 with the local brands dominating the market: Diageo's Windsor, Pernod's Imperial Classic and Lotte's Scotch Blue. As expected, Macallan and Glenfiddich dominate the malts but what is most fascinating for me is that Scotch Whisky as a category accounts for more than 90% of the spirits market in S. Korea. When the South Korean government changed their tax policy on imported alcohol earlier this year, the whisky industry, especially those looking for an opportunity for malts to expand, had a party in their pants. Said Whisky Magazine's Rob Allanson, "South Korea is already the sixth largest export market in the world for Scotch by value and the ninth by volume, so we see this as having a fairly significant benefit to the whisky industry." Waxy and buttery the way only PET packed whisky can be. Grape juice sweetness and pleather Michael Jackson Beat It-era jackets. Sweet, simple, and welcoming. Buttery again, rounded. Garibaldi biscuits, raisin sweetness offset by a lemony zest. Chewy and perfectly quaffable. Shocked. Utterly shocked. Probably lovely with tons of ice.